In a large skillet, sauté mushrooms, onions and squash in butter until tender. Remove from heat and add beaten eggs, milk, salt, seasoned pepper, cheese, and crushed crackers. Mix. Pour into buttered casserole dish and top with crunchy onion rings. Bake at 400 degrees for 30 minutes. Many of the finest chefs know how to cook squash dishes of all kinds and often serve them with grilled steaks, chops and chicken, and nothing compliments squash more than a nice full-bodied red wine. Furthermore, squash is full of nutritious vitamins and minerals including carotenes, B1 and B6, C, folic acid, fiber, niacin and potassium. 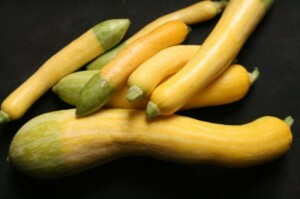 Once you learn how to cook squash, you will want to include it with every meal.